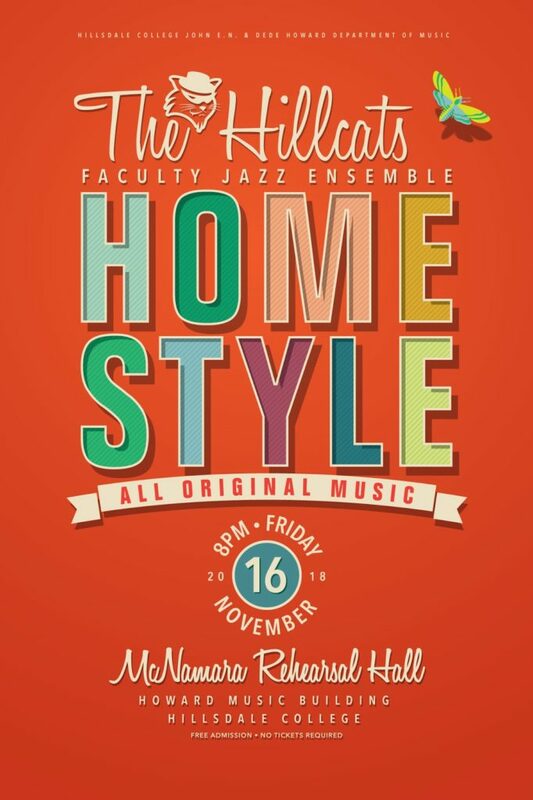 The Hillcats enter the spot­light on campus with their upcoming per­for­mance “Home Style.” Hillsdale College’s faculty jazz ensemble will perform on Friday, Nov. 16 at 8:00 p.m. in McNamara Hall. 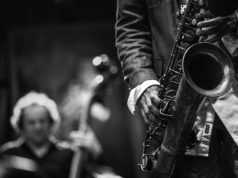 Com­prised entirely of original music written by the band, the concert will incor­porate a variety of unique genres as well as offering the audience a more tra­di­tional swing style of jazz. 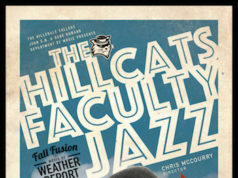 The Hillcats’ per­for­mance will center around the inspired cre­ativity of each bandmate. 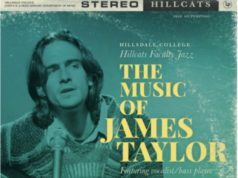 Each member of the Hillcats com­posed music for the concert to perform. A high­lighted theme of the night is the diversity of original songs with inspi­ration found in Latin, rock, and swing. One per­for­mance in par­ticular that the band is looking forward to is bass player Hank Horton’s original song that draws numerous ele­ments from famed musician Frank Zappa. The piece will reportedly reflect the intense, mes­mer­izing, and chal­lenging nature of Zappa’s style. Adjunct Instructor of Music and pianist Arlene McDaniel, mean­while, has com­posed a ballad for the evening. For stu­dents unable to attend Friday’s per­for­mance, the Hillcats will have a public dress rehearsal on Thursday, Nov. 15 at McNamara from 12:30 p.m. to 2:00 p.m. This dress rehearsal will in many ways serve not only as a review for Friday night’s per­for­mance but a test run for interest in afternoon con­certs. Hillcats are good, they’re worth a listen if you get the chance.